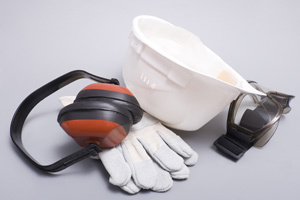 A permanent loss of hearing can occur as part of an industrial deafness condition if a worker has been exposed to a high level of constant noise in the workplace without adequate protection over a number of years. Once the hair cells within the ear deteriorate and are not replenished, the onset of permanent, irreversible hearing loss will set in. Usually, sufferers will begin to struggle to hear normal spoken conversation as the ears will begin to only pick up particular frequencies. Unfortunately, if hearing loss has been sustained over a long period of time with no improvement in symptoms it is likely that a permanent hearing loss has been sustained.